Bunny Tail are never bleached, organic Japanese cotton sheets. 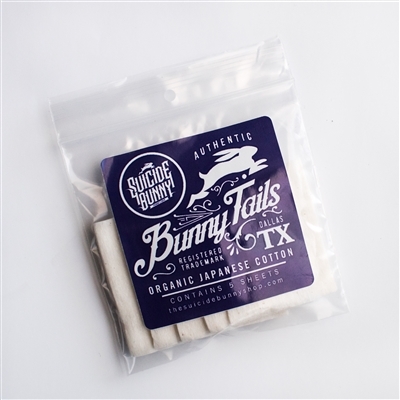 5 per pack, this cotton will give you a nice clean taste that will not interfere with the taste of your delicious Suicide Bunny E-Liquid. 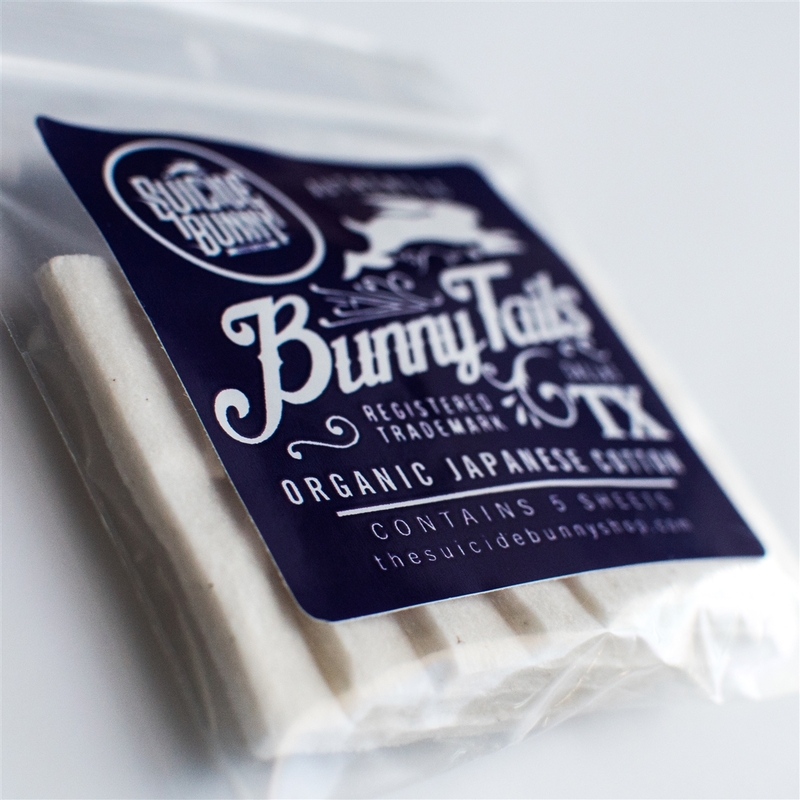 Made in Japan and packaged in the U.S.A.